Black Jeans | Stripes & Leopard (Plus, a Girlfriend Gift Guide!) | hi Sugarplum! Happy Monday, friends! Thank you for all the birthday wishes, and love on last week’s posts. Especially for our new baby! We are in puppy heaven over here, and it’s so fun to watch each of us grow more attached to her each day. Even Maggie. 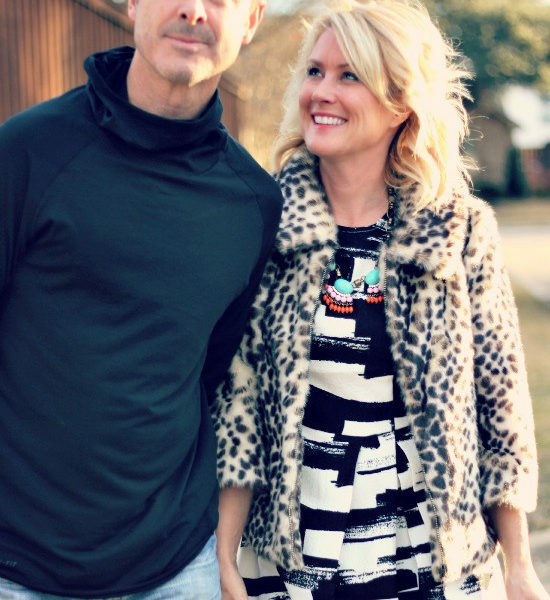 Today I’ve got two things for you…but it also happens to be my Yes Day (read about our birthday tradition here), so I’m going to make this short and sweet! There is birthday fun to be had! 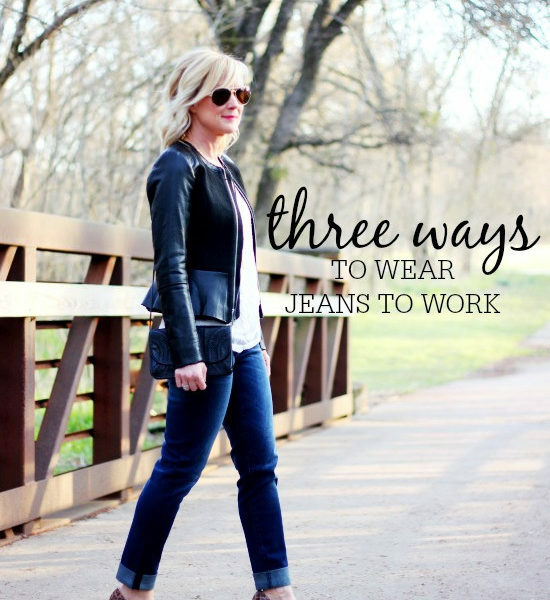 I’m kicking off a new Five Ways series around one of my favorite closet staples: black jeans! Every day this week I’ll share new ways to style your black jeans for work, date night, weekend and more. And since you asked, there’s also a girlfriend gift guide at the end. Whew!! Let’s get started! I thought it was only fitting to kick the week off with my girlfriend uniform…this is pretty much the combo I wear for meeting girlfriends for lunch, shopping, or whatever! Jeans, boots and a sweater is an easy combination that never fails, but adding statement accessories like a scarf or jewelry makes it extra stylish. This scarf is a new addition this year, and I love the light, gauzy material, and gorgeous leopard print. But how can we have a Five Ways around black jeans, without me telling you about my favorite pair!? These are mid-rise, with just enough stretch to be comfortable, while still holding their shape. They aren’t stiff like a traditional jean, so nothing digs in…I’d say they’re a cross between jeans and jeggings. They are my only pair of black jeans, if that tells you how I feel about them! Fit Tip: They are true to size, I wear a 26. I do need to cuff them to pair with booties, so they’re longer for you tall girls. Taupe booties are forever my go-to shade…they pair so well with both browns and blacks. And every color in between. But sometimes your day isn’t conducive to scarves (like when tacos are on the agenda), so I add a pendant necklace instead. Obviously you know I’m obsessed with this one, since I’ve worn nothing else lately! It has all the best Fall colors, making it perfect for so many outfits. Easy, comfortable, chic…perfect for a day with the girls! 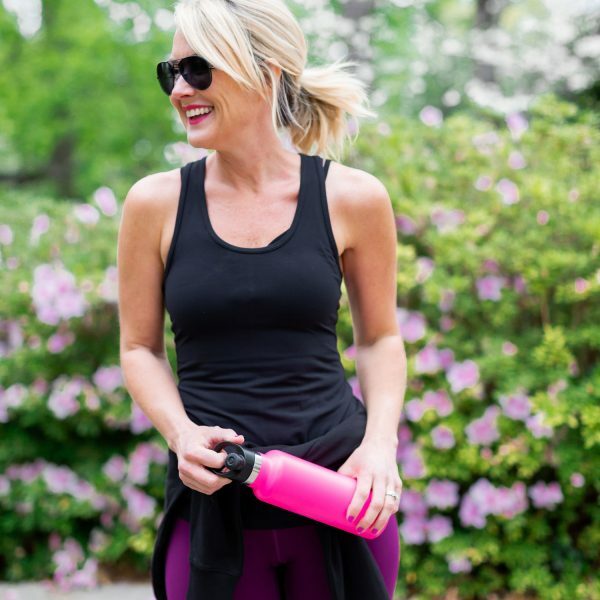 Speaking of the girls, y’all asked for gift ideas for your daughters, sisters, son’s girlfriends, teachers…and every other awesome woman in your life…so I rounded up my Nordstrom top picks in several price points. Basically, these are the things I have and love, or would love to have! (Santa, are you listening?!) And as always, there’s free shipping and returns….and everything comes in unmarked boxes, so the snoopers will never know! What’s on your list this year? What go-to gifts do you love to give your girlfriends? Stay tuned all week for more black jeans inspiration…tomorrow we’re dressing them up for the office. Hope your Monday is great, lovebugs! Luv that black purse! Luv the whole look! I cannot stop wearing my black jeans! Such a closet staple!! Have fun on your YES day! Happy Birthday Cassie! Such a cute look! 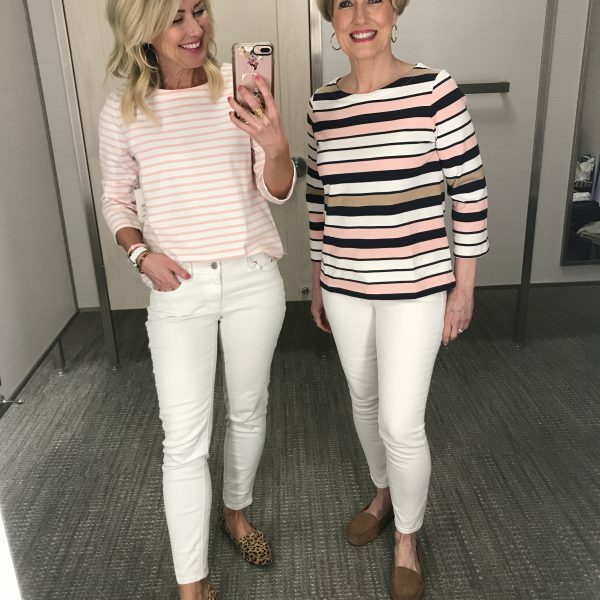 I have that cardigan in the green color, but now I’m wondering if I should have snagged it in the neutral. And you can’t go wrong with cozy slipper socks as a great girlfriend gift! Hope you have an amazing birthday day!! Happy Birthday! Enjoy your YES DAY!! Cassie–I love your boots, but wonder what kind of socks, if any, do you wear with them? These are my fave no-show socks: http://bit.ly/2zvweNy Sometimes I go sockless, but if it’s chilly or I’ll be walking a lot, I wear those! Thank you for taking the time to share. I learned about a new sock today :-)! I pin more of your outfits than anyone else’s! 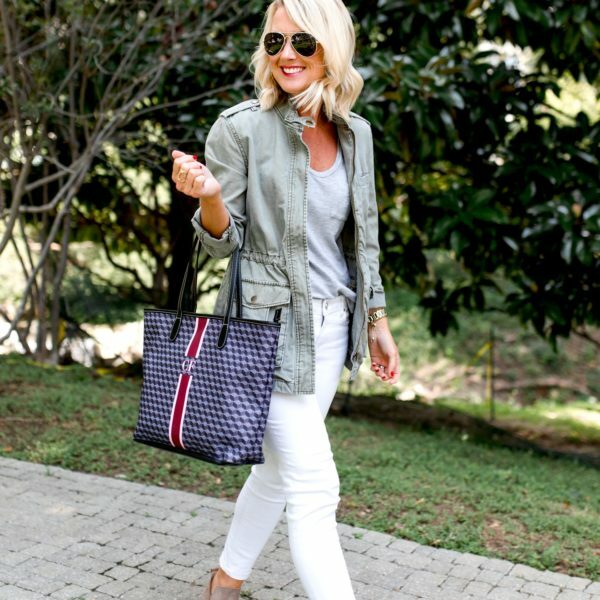 Your style manages to be casual while always cute and put-together. I have so many similar items in my closet but don’t think of combining them like you do (but I’m learning 😉). I also like that you feature items that are easily accessible. Your whole blog is great. My favorite! I love the yes day idea! Hope you had a fabulous birthday!! I’ve never seen anyone that can take any look and make it look like a million dollars. 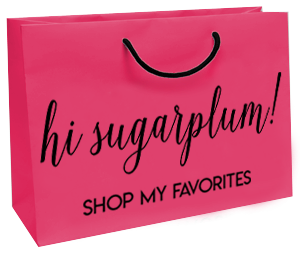 I am a recent follower and love your site for inspiration and for shopping! You make everything look and feel so easy. Can you tell me, please, are the booties your wearing here gray or taupe? The shirt your link goes to is more black with a white stripe. Is the one you’re wearing no longer available?